Microsoft Corp. and General Electric (NYSE: GE) have signedan agreement to deliver Microsoft’s cloud productivity suite, Office 365, toGE’s more than 300,000 employees across 170 countries worldwide. “As we deepen our investments in employee productivity,Microsoft’s innovative approach to collaboration made Office 365 our firstchoice for providing scalable productivity tools to our employees worldwide,”said Jamie Miller, senior vice president and CIO of GE. Microsoft (Nasdaq “MSFT”/@microsoft) is the leading platformand productivity company for the mobile-first, cloud-first world, and itsmission is to empower every person and every organization on the planet toachieve more. Every public cloud offering is in constant mutation — adding features, revising old ones, revamping pricing, striving to stay ahead of the competition and to give existing customers incentive to stick around. Microsoft’s Azure improvements are often incremental changes aimed at a specific subset of users. But over the past month, several new features — and expansions on existing ones — have bubbled up, all of interest to a wide variety of Azure users. Here are five of the most significant additions. The idea is simple: Come early 2016, Azure users will be able to programmatically deploy content into the Akamai CDN and buy Akamai offerings through their Azure self-service portal. Microsoft has its own CDN and has long enjoyed a close relationship with Akamai, but this takes the partnership to the next level. Apart from allowing Azure-deployed content to reach a broader audience (Latin America and Asia, in particular), it also means Microsoft can pit itself directly against Amazon CloudFront. Pricing wasn’t announced for the Akamai deal, although CloudFront is automatically quite competitive — its free tier allows up to 50GB out per month, albeit only for one year for a new account. Let’s see if Microsoft can hatch something at least as appealing. Build a better command line, and the world will beat a path to your door. Microsoft made a bid in that direction with PowerShell, the power and utility of which speaks for itself. Integrating PowerShell with Azure has been in the works a long time, but earlier this month, a major milestone arrived: the preview release of Azure PowerShell 1.0. With it, the user can manage Azure resources and services from the command line instead of through a GUI — which most any veteran sys admin appreciates. Be warned: It’s such a major change that the featured Azure Resource Management cmd lets break backward compatibility with previous versions. If you’re a fan of Google’s Go and want to use it on Azure, desire no more: Support for Go with Web apps was added to Azure earlier this month — even in the free trial. Azure will take care of configuring the file if needed for the app, but you can supply your own if your deployment requires custom settings. Right now, only Go 1.4.2 and Go 1.5.1 are supported in their 64-bit incarnations, and the whole package is considered experimental; deploy a production application at your own risk. For now, anyway — you have every reason to believe Go support on Azure will graduate to full support status before long. Originally, Azure Backup was designed to back up Hyper-V VMs and their associated data volumes. Anything beyond that was the province of Microsoft Data Protection Manager. But of late, Azure Backup has grown to provide backup support for other Microsoft products as well. Microsoft SQL Server, SharePoint Server, Microsoft Exchange, and Windows Clients are all protected. Note that the cost of backups is two-fold: one charge for the size of the instance itself ($5 and up depending on the size of the instance), and charges for storage consumed by the backup. But the range of products covered by Azure Backup is likely to continue expanding. Sometimes you need to wait the longest for the simplest, most basic features because, counterintuitively, they’re hard to get right. Azure finally offered Azure File Storage, to perform conventional Windows file shares (via the SMB 3.0 protocol) in the cloud, at the end of September. The idea is to support existing applications as they’re moved to the cloud, some of which might depend on SMB share mounts. An Azure File Storage share can be mounted anywhere, allowing on-prem and cloud applications to share storage and data in a familiar manner. Note: Any clients that connect to an Azure File Storage share will be limited by their level of SMB support. For Windows 7, that’s SMB 2.1, which lacks support for encryption; SMB 3.0 is supported in only Windows 8 and up, as well as Windows Server 2012 and up. However, most recent Linux distributions support SMB 3.0 natively. Most executives can estimate their revenue per customer but have difficulty trying to budget the potential costs if their business’ computer systems crash or they are compromised by viruses, other malware or attacked by hackers. Potential dire effects vary by business, the type of computer-reliant operations it has and the nature of its data, and these effects can range from mere irritation to significant financial loss all the way up to a closing of the company doors. Information technology security issues grow more important and urgent for business and industry week by week. Commerce-critical data today is made with intention at work stations as well as streamed by always-connected apps and devices into the cloud – streams that simultaneously make operations more efficient and more vulnerable. Managers, accountants, healthcare providers, lawyers, retailers, bankers, public officials and more all are joining IT professionals in spending more of their time and energy on cybersecurity matters. Anti-virus expert Eugene Kaspersky said at an IT security conference in October 2013 that the cost of data system disruption to business is “many times more than $100 billion.” Since then, data breaches have occurred at Target, Neiman Marcus, JP Morgan Chase, Home Depot, Sony Pictures, Anthem and others. However, while these large events attract news coverage, much of the overall cost of data breaches actually occurs at small- and medium-sized businesses because they are often easy targets. “You have to assume that you have already been breached to some extent and determine how to continue running your business with that assumption,” according to John Askew, consulting manager and security team lead for SDGblue, a Lexington-based IT services firm. “Hacking” into computer systems started three decades ago, largely among young men wanting to impress friends with their technical savvy. Nearly all data breaches today are by criminals looking to make money using an array of methods and powerful tools. The realities of computer security are much different than even just five years ago. One result is that no one is too small to be a target. Thieves formerly tended to individually target the high-dollar score, like fishing with a large pole for that “big one.” Computer-powered automation today, however, enables thieves to fish with a net – which because of volume targeting creates large cumulative results. Security experts all estimate the likelihood that a specific business’ computer systems will crash or be compromised at 100 percent – a matter not of if but of when. They also agree that most incidents are either preventable or can be cleaned up quickly with proper preparation. Money-sapping downtime can be averted or recovery expedited, reducing costs across the board. This security has a price, but prevention and planning tend to be far cheaper than curing a system shutdown for which a business is unprepared. Most businesses today can’t run without computers, which are service platforms for credit card processing, tax filing, business websites and interacting with suppliers and customers. Another recent computer security issue is that Kentucky and 47 other states along with Puerto Rico, the District of Columbia and the Virgin Islands have laws that punish companies found negligent in handling customer data, or that do not notify customers of a breach in a timely fashion. Think of data security, experts say, in terms similar to doors to your business: The more data connection doors you have, the more security you need since doors are generally the most vulnerable points for unauthorized entry – or exit. Every email account is a potential door. Further data vulnerability exists because businesses have to go through lot of other people’s “doors,” too. Cyber criminals watch that activity with programs designed to sniff out your and their weaknesses. Many business people are shocked to learn that various studies find from 45 percent to 80 percent of data security issues originate inside the company. Not all are malicious; sometimes an employee password is easily hacked, like the word “password” or “1234567890” or their password is pasted on their desk for anyone passing by to see. Data security becomes compromised because employees often aren’t trained, or no security guidelines exist and they innocently do something inappropriate. It can be a disgruntled employee or one paid to steal company data. “Drive-by downloads” into business networks can occur when an employee visits a web page with a malware delivery mechanism that is disguised as an ad. Sometimes network anti-virus programs are inadequate (such as free versions) or are not installed at all. Internal breaches commonly come from “social engineering” attacks, which prey on human behavioral weaknesses. 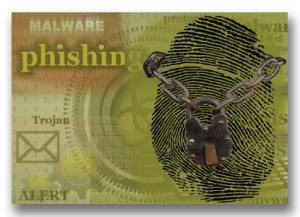 “Phishing,” a common social engineering method, is the most commonly used data assault process seen by those interviewed for this article. And it achieves the most success against users. Phishing criminals, usually using stolen email addresses, “bait” users at a target business with what appears to be an urgent email from a familiar company, such as a bank or retail chain they use. Problems begin if a recipient clicks a link or opens an attached file promising f urther details. The 2013 Target stores holiday shopping season breach that led to 110 million customer credit card records being stolen started with a phishing attack against employees of a subcontractor; Home Depot’s 100-million-customer-records breach in 2014 was a phishing attack. Phishing messages whose official-looking logos, headquarters information or other content succeed in prompting a click for details instead initiate a download of malware onto the recipient’s device that propagates across the network. The many variations of this trick have worked worldwide millions of times. A sophisticated variation is “spear phishing” in which attackers research individuals at a company and target them with sometimes surprisingly personal appeals. This technique increases the odds of success so much that spear phishing accounts for 91 percent of attacks. At financial institutions specifically, reported individual losses average $55,000 and some have exceeded $800,000, according to the Washington-based Internet Crime Complaint Center. Phishing is one of the most common consumer complaints the Kentucky Attorney General’s Office gets, said Daniel Kemp, deputy communication director. Who are the phishers? They come from around the world. The Chinese and North Korean governments have often been accused (e.g., the Sony Pictures Entertainment hack), as have criminals in former communist bloc countries, South America and in the United States. A town in Romania’s Transylvanian Alps, Râmnicu Vâlcea, population 120,000, is called the cyber-crime capital of the world, but it has only two government agents assigned to combat digital law-breaking. Regardless of their origin or motivation, the criminals are after your system, your data, your customers and your money. Those illegally harvesting customer data often bundle their stolen info and sell it to others to avoid being caught using it – they let others do the phishing or scamming. It makes arrests and prosecutions difficult, and even if they are caught, restitution for victims’ losses is rare. The good news is that with appropriate measures, a business network can be kept reasonably-to-very safe. Although the due diligence of installing, maintaining and securing computer systems can be costly, security breach costs can be far, far more. “PCs and computing resources are now a utility, not a luxury. IT security is often regarded as a discretionary cost, but it’s not – it should be fixed in the budget of every business,” Purcell said. The term “disaster recovery” refers to being able to restore a computer system to the state it was in a short time before a failure. Only very rarely is this the result of a fire, flood, lightning strike or tornado, although those are considerations. Much more commonly it means a single computer’s hard drive fails and ruins all its data, which a business must recover to get back to work; or a server dies, corrupts a wider swath of data and shuts down daily operations. Business IT disaster recovery plans often mean having off-site backup in case equipment is stolen or offices are too damaged to use. With off-site data storage, operations can be restored in a temporary location and to continue to serve customers and avoid losing revenue also. Sevigny and others advise considering the question: How would being without computers for two or three days affect your company? An office technology policy can avert some of the latest threats to business. Sevigny advises caution regarding “the bring-your-own-device (BYOD) trend of letting employees bring smart phones and tablets into the office with no supervision, and even letting them do (company) work with them. Investing in IT security and disaster recovery is less costly than restoring data from bits and pieces, or going back to printed records. Data breaches mean lost customers and tarnished business reputations, especially when customers must be contacted to inform them sensitive personal data is now “in the wild” and in the hands of criminals. In calculating a budget for IT security and disaster recovery, managers are advised to consider their company’s average revenue or profit per hour or per customer, then assess the potential cost of lost operating hours or customers. At what point would losses become critical? At what point would the business be fatally crippled? Many businesses lack security and data recovery plans. Studies estimate the cost of repairing a data breach at $185-$195 per customer. That’s $18,500 for 100 customers or $185,000 in losses for 1,000 customers. Repairs can take months as little issues continue to present themselves. It’s fairly common for some data to be lost forever, complicating making financial books whole again. Damage to reputation and trust can mean a loss of current customers and future business. Studies show preventive measures do reduce per-customer losses for data breaches: $14 less for companies with comprehensive security policies and procedures; $13 less when the company has an incident response or disaster recovery plan; another $7 less if a well-trained staff person serves as the chief information security officer. Those steps lower average losses to $151 per customer. “There’s a saying in our industry that computer security always seems to cost too much, but still is never enough,” said Jerry Bell, a computer security consultant and founder of the DefensiveSecurity.org website and blog in Atlanta. “Computer security is something like what they say about those who fight terrorism: We have to be right all the time, but they only have to be right once. One product that can mitigate the cost of data breaches, he said, is cyber-security insurance, which many companies now offer. Data breach coverage can mitigate costs in any case, and especially when the policyholder is not to blame. “When a breach happens and a claim is paid, the insurance companies are looking for those responsible for the breach,” said Bell. “If (the insurance company) pays a claim, then someone else is likely to wind up paying the insurance company. All the experts in this article concur that, on average, only about 30 percent of businesses today have adequate security and a disaster recovery plans – not elaborate security, but decent protection and enough to help with recovery. “The one thing that keeps me awake the most at night is how our data is handled,” said Purcell at Murray State. “We’ve been collecting people’s personal data since the late ’80s, and the standards for security were different then. We’re like any other business in that regard. That legacy data is very valuable, and we have the responsibility for protecting it.” Most businesses are in the same boat. The most common lament among the IT security professionals interviewed is that customers reel when told the cost to adequately protect their systems but don’t understand the value of that investment. For example, initiating recommended system security measures might cost a small to medium-sized business $10,000 up front and another $300 in costs per month to monitor the system security, perform maintenance and pay for regular professional services ($3,600 per year). Under this scenario, first year expenses are $13,600; subsequent years might total $5,000 when software upgrades, checkups, equipment replacements, etc., are included. This is a five-year cost of $33,600, or $6,720 per year. It’s a considerable budget line. If this business has 300 customers, however, using the $185-per-customer cost for a breach that studies found, a data system problem could cost $55,500. That’s about $22,000 more than the cost of IT system security. In managing costs, businesses generally opt for meeting legal or regulatory obligations as an expense baseline. A lack of dedicated resources to implement an effective security program is the biggest issue SDGblue sees, Gilliam said. “Security (is) often viewed as a cost center that needs to be minimized,” he said. State and federal government requirements to notify customers of a breach are considered burdensome and complicating factors. However, the cost of doing so is small compared to the fines and penalties for not doing it in a timely fashion, and far less than criminal or civil charges, or lawsuits by customers. 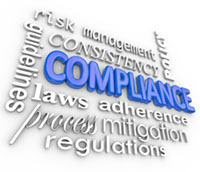 There are major additional compliance issues in the medical field, which also must comply with complicated federal HIPAA and HITECH regulations. The Health Insurance Portability and Accountability Act of 1996 mandates the confidentiality and security of healthcare information. Health Information Technology for Economic and Clinical Health Act of 2009 anticipates a massive expansion in the exchange of electronic protected health information. Hensley holds the advanced Certified Information Systems Security Professional credential, which in addition to technical expertise requires knowledge of IT’s legal and financial issues. The CISSP credential is valued especially in the healthcare sector and other operations with high-stakes compliance obligations. Hensley said it improves his ability to advise clients about avoiding potentially expensive situations. Meanwhile, state legislatures are enacting new cybersecurity laws and reporting requirements, creating legal obligations sometimes to notify customers and staff about a data breach – or to not notify them because the breach is under a criminal investigation. In Kentucky, HB5 and HB232 cybersecurity laws passed in the General Assembly in 2014 are now in effect. They changed the way the commonwealth’s businesses are required to store customer data and protect confidentiality. Depending on who is potentially affected, businesses and other entities that experience a data breach must contact the Kentucky State Police, state auditor of public accounts, state attorney general, Kentucky Department of Education or the Council on Postsecondary Education. HB 232 defines what businesses must know about an electronic security breach, sets deadlines for informing customers and staff and whether to notify law enforcement. 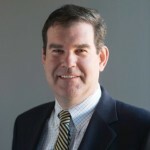 Frank Goad is digital editor of The Lane Report. He can be reached at frankg@lanereport.com. Our CEO was recently interviewed by CompTIA and the article released today. The article was about the position of Small and Medium Businesses and their security needs.